Airport Transfers in Cambridgeshire; Cars Exec specialise in chauffeur driven airport transfers in Cambridgeshire to all major UK airports. We know it can be an added stress to arrange parking, worrying about the traffic and to use public transport getting to and from the airport. With our chauffeur driven airport transfers in Cambridgeshire, you won’t need to worry about driving through traffic, trying to park at the airport or using the shuttle buses. Our number one aim of our service is to provide private airport transfers in Cambridgeshire to UK airports, professionally, punctually and as relaxing as possible. Whether you need to be on time for that important flight or just wanting to relax after your flight, let Cars Exec, your number one choice for airport transfers in Cambridgeshire take care of you while you relax in a comfortable, luxury executive chauffeur taxi. 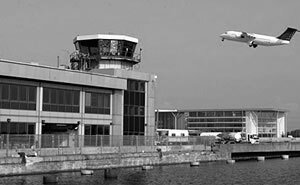 Our excellent airport transfers in Cambridgeshire services include us keeping a close eye on any flight delays and changes, taking the worry off you, as we will know when your flight will be arriving. All our professional drivers will meet and greet you at the airport before taking you on a smooth and comfortable journey to your required destination. A member of our team from our chauffeur driven airport taxi will await your arrival at a designated meeting place, with your name on a board. Once you have met with your driver, they will then assist you with your luggage. 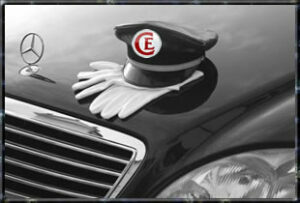 We are your number one choice for executive airport transfers in Cambridgeshire. Cambridgeshire is a flat county, inland but with tidal rivers deep inland. The Gogmagog Hills are the highest features in the county (though the highest point lies near the south-east border at Camps Castle) but beneath them the Cambridgeshire landscape is generally low-lying, much of it drained fens (and still called fenland) and in some areas is at sea level or below. The northern part of Cambridgeshire is known as “The Isle of Ely”, which is remarkable for its flatness and its fertile soil. The main town is the university city of Cambridge. The University of Cambridge is the oldest in Britain after Oxford, and with Oxford is the foremost. Its beautiful old colleges sit on medieval streets and their delightful “backs”, look out on the banks of the River Cam. The second town of Cambridgeshire is the City of Ely (possibly the smallest city in the land). Ely sits on a low hill above the fens, dominated by its cathedral. Ely Cathedral is visible for many miles across the level fenland and is known as “the Ship of the Fens”. In the north of the Isle of Ely is Wisbech. Apart from these Cambridgeshire has no towns to speak of but numerous villages. Much of Cambridgeshire, and whole of the Isle of Ely, is part of the Great Fen, now criss-crossed by canals and dykes, the fenland drained to create exceptionally fertile agricultural land. The main towns in Cambridgeshire are: Burwell, Cambridge, Chatteris, Ely, Gamingley, Melbourne, Sawston, Soham, Wisbech, Whittlesey.